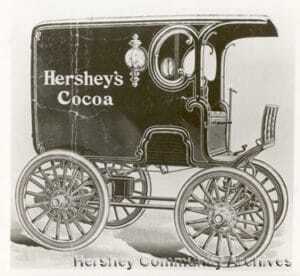 The idea of advertising on vehicles dates as far back as 1900 when Milton Hershey of the Hershey Chocolate brand chose to paint adverts on the side of his vehicles during an automotive race. Paint was the only available option at the time and it would take another 50 years for a new material to replace paint as the best option for vehicle wrapping and advertising. Vinyl chloride was accidentally discovered in 1926 by the BF Goodrich Company. The multipurpose material was an impressive discovery as it possessed great qualities. The versatile nature of Vinyl allows easy manipulation and application on various surfaces with curves and edges. Its also capable of forming any possible color. Due to the expensive nature of Vinyl, only large businesses with huge finances and groups like the U.S. Air Force, which used it to label airplanes could afford it. It was not until the 1980s when the cost of producing vinyl reduced significantly that it became affordable for small businesses to use for adverts on their vehicles without paint. Thanks to various technological advancement made in the 21st century, the vinyl industry has evolved greatly in terms of affordability and quality of vinyl graphics. Unlike the earliest days of the vinyl industry where the application of vinyl wraps damaged the original paint job of vehicles, today’s vinyl wraps protect the vehicles original paint work and can easily be removed by an expert at any time. Its also an alternative to a new paint job and offers endless customization options. There are many benefits of vinyl vehicle wrapping, be it for advertising purposes or just customizing the look of your vehicle. The wide range of possible vinyl design types and the ease of printing them makes vinyl wrapping the best choice for all businesses looking to advertise their products and services. Wrapping your cars and trucks with custom vinyl graphic designs of your brand is a great way to advertise your products and services as it instantly converts your vehicles into an all year round advertising medium which guarantees that your adverts will be seen by everyone who looks at those vehicles wherever they go. Compared to other methods of marketing such as TV adverts, radio, billboards and newspapers, vehicle wrapping is the most affordable. The regular TV and radio advertisements can only run for a few seconds to minutes daily and the billboards and newspapers can run adverts for a few weeks, or months at most, but the vinyl vehicle wraps are communicate your brand all day and night. In terms of CPM (cost per thousand), vehicle wrapping and signage offer the lowest cost per thousand views, and therefor the highest return on investment of any advertising medium. At Elmark Sign And Graphics, we combine our decades of expertise, along with the highest quality 3M and Avery vinyl. The nations top brands turn to Elmark for their Vehicle wraps, fleet graphics, and custom vehicle graphics. We provide full and partial body wraps for cars, trucks and entire fleets. We use the very best quality 3M and Avery vinyl with over 300 colors and designs to choose from. We have been providing top customer satisfaction in the automotive branding business for 35 years. This is because we not only offer the very best vinyl wraps and graphic designs for your cars, trucks and entire fleets but we do so affordably and promptly. Get in touch with us and see how we can enhance your next marketing campaign. This entry was posted in Vinyl Wraps and tagged 3m, adverstising, auto, avery, branding, car, vehicle wrap, vinyl.